Two Lagos-based lawyers, Messrs Tayo Oyetibo (SAN) and Ebun-Olu Adegboruwa, representing a former Niger Delta militant, Government Ekpemupolo, alias Tompolo, who is on the run, have said it is not their duty to produce him before the Federal High Court in Lagos. There is a pending 40-count of alleged N45.9bn fraud against Tompolo and nine others before Justice Ibrahim Buba, where the suspects were expected to take their plea. But while his alleged accomplices had been attending court, Tompolo had repeatedly snubbed court summons served on him, making the judge to issue two separate warrants for his arrest. 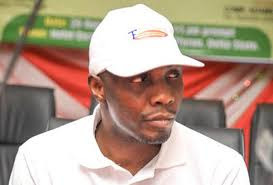 The Economic and Financial Crimes Commission, which charged Tompolo to court, had subsequently declared him wanted through a newspaper advertorial and also obtained a court order to confiscate all his assets, pending when he would submit himself to the authority of the court. Oyetibo and Adegboruwa had, however, gone before the Court of Appeal, seeking to void the arrest warrant issued against their client. In a statement jointly signed by them on Wednesday, the two lawyers said it was the duty of the EFCC, and not theirs, to fish out Tompolo and bring him to court. The statement was issued in a reaction to the editorial of a national daily (not The PUNCH), suggesting that the lawyers, who had been taking instructions from Tompolo, apparently knew where he was and ought to be mandated to produce him, since efforts by security agencies to arrest him had not yielded any result. The editorial had reportedly suggested that the lawyers owed Nigerians the duty to produce Tompolo, who is on the run, failure of which they ought to be disciplined by the court for professional misconduct. But the lawyers described such a suggestion as a misconception, stressing that they had not breached any law to warrant being sanctioned as suggested in the said editorial. They added that their client had the right to appeal any order of court against him, citing the case of Fawehinmi Vs Attorney-General of Lagos State (1989), where the Court of Appeal held that accused persons were entitled in law to take their objection to the charge, irrespective of the fact that they were not physically present in court.